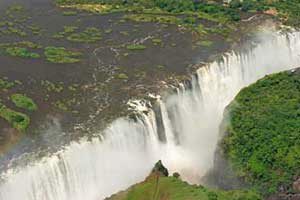 Depart from OR Tambo (Johannesburg) International Airport and fly to Livingstone Airport in Zambia. On arrival at Livingstone Airport, a representative will meet and transfer you to the lodge. The transfer time is approximately 20 minutes. 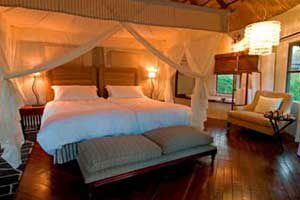 Sanctuary Sussi & Chuma is named after David Livingstone’s faithful companions and consist of an intimate lodge and two exclusive houses, both of which are situated to make the most of the amazing views that the sweeping Zambezi River provides and 12km from the famous Falls. 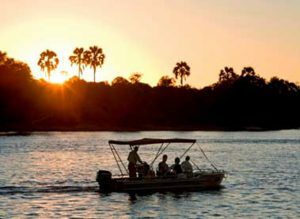 The Zambian side of the Victoria Falls provides an entirely different experience to its better-known Zimbabwean counterpart. Depending on the time of the year, the views are more spectacular and you can get right up to the falling water by walking down a steep track to the base of The Falls and follow spindly walkways perched over the abyss. If the water is low and the wind favourable, you’ll be treated to a magnificent view of the Falls Bridge. The central lodge building features a raised bar/lounge with deck, downstairs open air dining area, swimming pool and a separate treatment room which provide incredible views of the mighty Zambezi. Meals are table d’hote with a wide variety of dishes available, served alfresco. 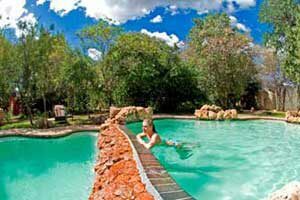 Overnight at the lodge for 2 nights on a fully inclusive basis. Breakfast is taken at the lodge and there are a host of activities to participate in today and the lodge staff will advise you of timings and options. There are twelve air-conditioned tree houses, connected by wooden walkways. 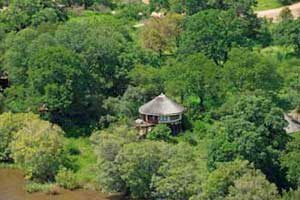 Each tree house enjoys superb views over the river and is an open plan room with shower, bathtub, vanity area and private toilet. After breakfast, you will be transferred by road to the Kazungula which is the border point across the Zambezi between Zambia and Botswana. 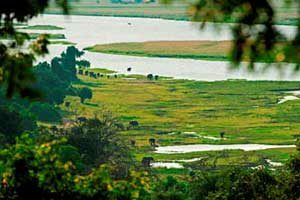 You will travel by boat across the river and will be assisted through passport control. Check in at Chilwero Camp on an all inclusive basis. The transfer is + 1 h 30 minutes. Sanctuary Chobe Chilwero borders Chobe National Park, home to the world’s largest remaining population of elephants. 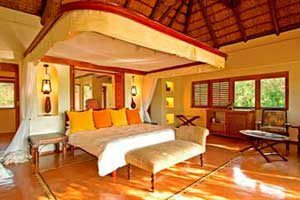 This is an incredibly luxurious lodge with just 15 guest cottages, as well as the only full spa on the Botswana safari circuit. 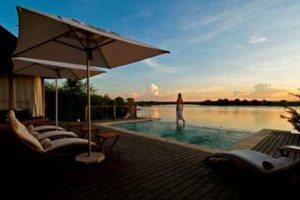 The main area commands fabulous views over the Chobe River which borders Chobe National Park to the north. As well as the elephants for which the park is famous, there are also huge herds of buffalo living in the towering teak forests that are characteristic of the area. Each room has two showers – one inside and one outside. The freestanding tubs in the bathrooms are big and comfortable. Each cottage has its own private garden where guests can sip cocktails after a day of game viewing, or why not enjoy your very own private dinner served under the African sky. Game drives in open-sided 4 x 4 vehicles bring these grey giants into easy reach as they drink and frolic at the water’s edge in their boisterous herds. 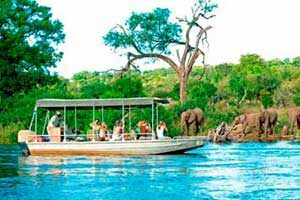 Thrilling game drives are lead by qualified professional guides who will bring guests close to hippos, buffalos, puku, antelope, lions and other creatures that gather on the banks of the Chobe River. Comments Yellow Fever Vaccination is required when visiting Zambia. All passport and visa permits are excluded and for the client’s own account.